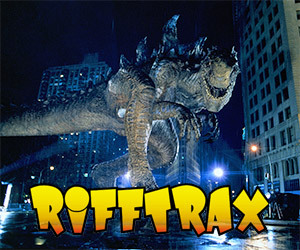 Help the professional funnymen at Rifftrax put together a live show for the 1998 Godzilla film and get some great rewards in their Kickstarter campaign. 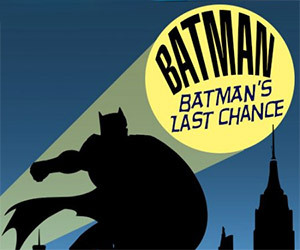 Join the MST3K alumni, Mike Nelson, Kevin Murphy, and Bill Corbett as they riff Episode 9 of the Batman & Robin series, The Wizard Strikes Back. 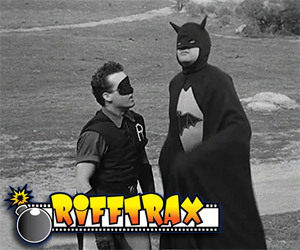 Rifftrax takes a look at the highly mockable 1949 serial, Batman and Robin. 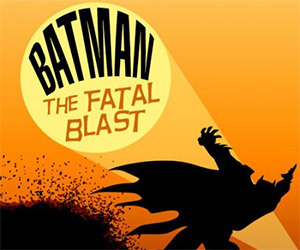 In Episode 7, The Fatal Blast, Vicki Vale suspects Batman's true identity. 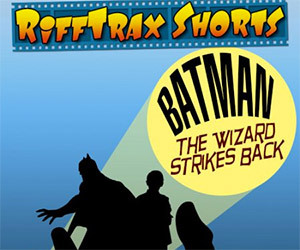 Can Batman and Robin escape the evil Wizard when he traps them in a locked chamber slowing filling with CO2?! 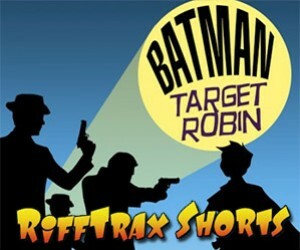 Find out in this Rifftrax spoof of Target Robin. 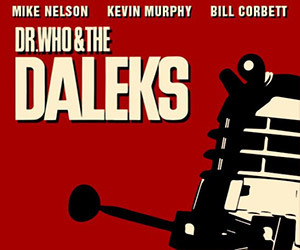 Rifftrax Spoofs Daleks – Invasion Earth: 2150 A.D.
Join the MST3K alumni at Rifftrax for a humorous, jabbing look back at the 1966 Doctor Who film, Daleks - Invasion Earth: 2150 A.D.
Mike Nelson, Kevin Murphy and Bill Corbett of Rifftrax are hosting a live viewing and riffing of the George Romero classic Night of the Living Dead in theaters on October 24. 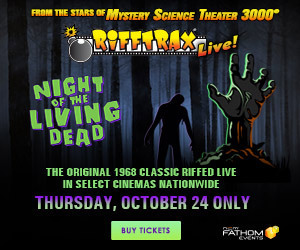 The MST3K alumni at RiffTrax take on the cringeworthy 1949 Batman and Robin serial. 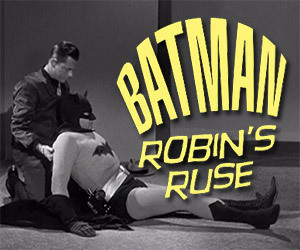 This time Episode 3: Robin's Wild Ride as the Dynamic Duo battle The Wizard. 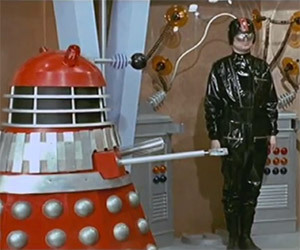 The MST3K alumni take on the classic 1965 film, Dr. Who and the Daleks, starring Peter Cushing as The Doctor and Jennie Linden as his granddaughter, Barbara. 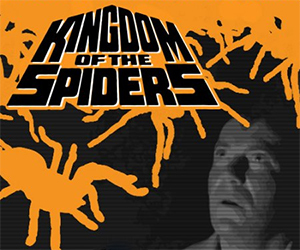 Join the MST3K alumni at Rifftrax as they riff on William Shatner's 1977 film Kingdom of the Spiders with Shatner starring as "Rack" Hansen.